Baraboo High School in Wisconsin. 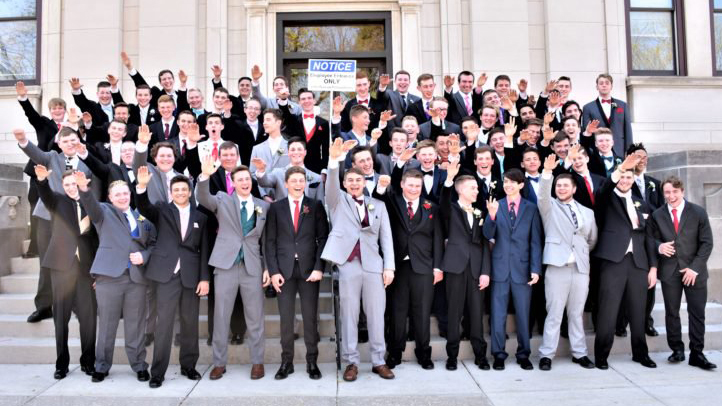 A photo has gone viral showing about 50 students, most of them white, from a Wisconsin high school appearing to give a Nazi salute, prompting their school district to investigate, NBC News reported. 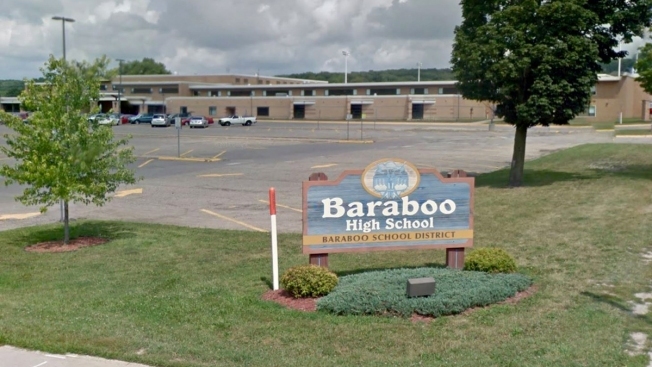 The photo is from last spring and was not taken on Baraboo High School property or at an event sponsored by the school, according to the superintendent of the Baraboo School District. It originally appeared on a photographer's website along with photos from the school's junior prom. "If the gesture is what it appears to be, the District will pursue any and all available and appropriate actions, including legal, to address the issue," superintendent Lori Mueller told parents in a letter Monday. The apparent Sieg Heil gesture brought condemnation from the Auschwitz-Birkenau Memorial and Museum, which said on Twitter that the concentration camp "with its gas chambers was at the very end of the long process of normalizing and accommodating hatred."